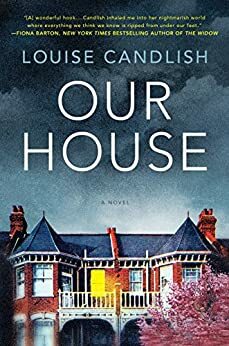 Fi Lawson comes home from a weekend away to find her house has been sold out from under her and her husband is missing. Can you imagine?! They have been separated after an indiscretion her husband had and have been living in a “bird’s nest” arrangement. Fi lives in the house with their two sons during the week and Bram, on the weekends. They share a rented flat in between times. But why would he sell? Fi tells her story to The Victim podcast as we also read Bram’s story as he writes and explains what happened. I will tell you right now that it is very hard to like Bram. He does some pretty unforgivable things, even as he tries to make it right for Fi. Then we reach the ending and you will scream NOOOOOOO! The story moves slowly. Sometimes a bit too slow for me but I liken it to a Sunday stroll where you just amble along but you take in little bits and pieces of things around you as you go. I would not call it a thriller, though there are a few moments where that might apply. Even though it moves slowly, you will actually read it pretty quickly. There are a few twists and turns that you may or may not see coming. But that ending though! This is definitely worth your while so pick it up and enjoy. Thanks to Netgalley and Simon and Schuster for a copy of this review book. This was such a crazy book – but I loved it. Great write up! Thanks. It was crazy. So many things going on.